The New Haven food scene pales in vibrancy and variety next to nearby New York City or Boston. Even so, certain types of restaurants do abound around Yale, including pizza, Thai, and noodle houses. New Haven noodles range from diner food to sit down restaurants, and similarly differ in quality. I decided to visit three Yale staples and gauge their quality for myself: Ivy Noodle, York St. Noodle, and Bentara. In college, feeling strapped for time is a common occurrence. Amidst the tests and papers, a hungry student needs to quickly replenish their energy stores. 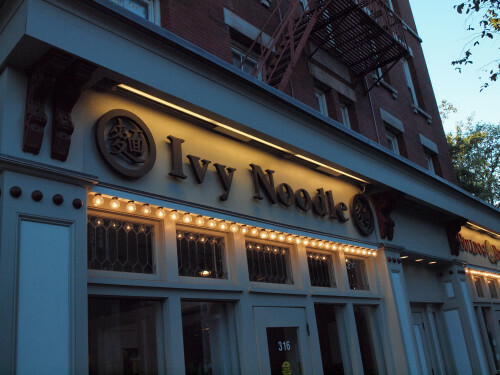 At Yale, finding good, quick food can be a daunting task, but Ivy Noodle attempts to fill this need. Sitting down at the counter, I order the House Special Lo Mein, for $6.95. In a matter of minutes, my large plate of glistening noodles arrives. I immediately appreciate the savory, slightly spicy noodles and tender vegetables. However, as the pile of noodles gradually shrinks, my mouth feels greasy and sticky, an unpleasant sensation. The lo mein sinks like a rock in my stomach, good going down, but the consequences seem rather unsavory. On the next visit, I order the Seafood and Vegetable Wide Noodle. Expecting a different, perhaps lighter, experience with a seafood dish, I am disappointed facing a medium sized plate in front of me, glistening with grease. Although the scallops and shrimp are delicious, the noodles themselves taste suspiciously similar to the house lo mein; not to mention leaving the restaurant with another coating of cooking oil in my mouth. Despite these flaws I easily escaped Ivy noodle for under ten dollars, and in around twenty minutes. For fast noodles, Ivy noodle serves an acceptable product, but frequenting this diner style noodle house on a regular basis would leave me uncomfortably sated. 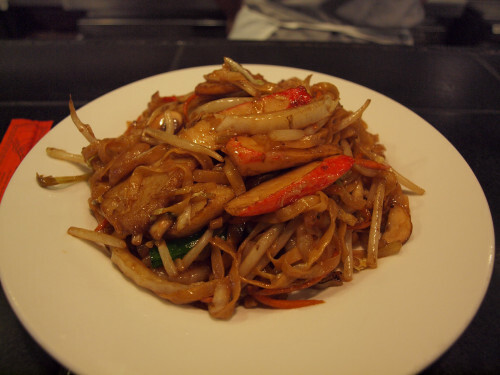 New Haven Noodles (Part 2): York St. Noodle House- Simple and SavoryIn "New Haven"
New Haven Noodles (Part 3): Bentara- "How Sweet It Is (To Eat Mee Hailam)"In "New Haven"
Bangkok Gardens: Typical ThaiIn "Food"
let’s pass on this place when we visit!